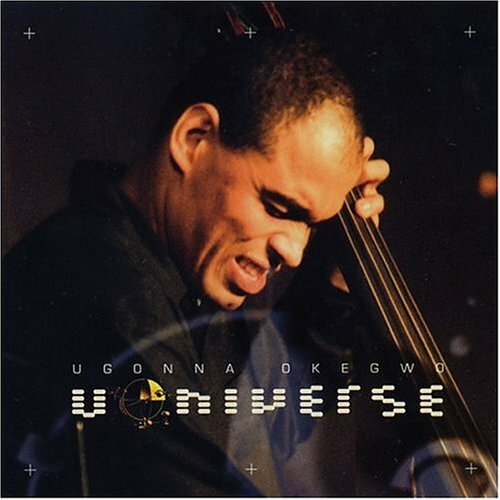 Ugonna Okegwo is one of the most distinctive and sought-after jazz bassists in the world. Critics across the globe have praised him for his rich tone, supple sense of swing, stylistic range and inventiveness. These qualities have not only earned him a place on the bandstand with jazz legends as diverse as Clark Terry, Benny Golson, Pharoah Sanders and Joseph Jarman--they have established him as one of the leading lights of a younger generation redefining jazz for the new century. Born March 15, 1962 in London to a German mother and Nigerian father, Okegwo was raised in Germany and grew up listening to African-American music--James Brown, Jimi Hendrix, Miles Davis, Ornette Coleman, and, eventually, the great Charles Mingus. What I always heard first in funk and rock 'n roll were the bass lines, the ostinato, and later, in jazz, the walking bass, he recalls. That's what first got me playing bass.” The fusing of funk and jazz bass conceptions is a foundation of Okegwo’s unique approach, making his sound instantly recognizable. In 1986, he moved to Berlin to study with the American expatriate bassist Jay Oliver, and with the American pianist Walter Norris. There Okegwo caught the attention of many prominent jazz musicians, most notably the trombonist and Mingus alum, Lou Blackburn, who invited Okegwo to tour Europe with his Afro-Jazz group “Mombasa”. While working with Blackburn, Okegwo met and played with trumpeter Joe Newman, drummer Oliver Jackson, and the bassist Major Holley, who encouraged him to move to New York. In 1989, Okegwo made the leap to Manhattan and began playing with musicians like saxophone legends Big Nick Nicholas, Junior Cook, and James Spaulding. In 1992, a call from legendary vocalist Jon Hendricks led to steady work as a sideman - on stage and in recording studios. In 1994 Hendricks even took Okegwo to the White House to perform for the President. During this time, Okegwo’s artistry attracted two other gifted young musicians--pianist Jacky Terrason and drummer Leon Parker. The trio joined forces and at famous clubs like the Village Gate and Bradley’s, developing one of the most creative and explosive group sounds of the nineties. Recently, Okegwo expanded his horizons and became a bandleader. In 2002 he took his quartet to Europe and documented the group with a recording entitled UOniverse [Satchmo Jazz]. The material, which consists of his compositions and brilliantly arranged standards, draws from a wide range of influences, including jazz, African, funk, and classical music. All About Jazz musician pages are maintained by musicians, publicists and trusted members like you. Interested? Tell us why you would like to improve the Ugonna Okegwo musician page.